What happens to your phone after you sell it to us? And how do we refurbish phones ready for sale? Find out in this video! Have you ever wondered what happens to your mobile phone after you’ve sold it to us? Or how we refurbish the phones we sell on the musicMagpie Store? Well, here’s your chance to find out! 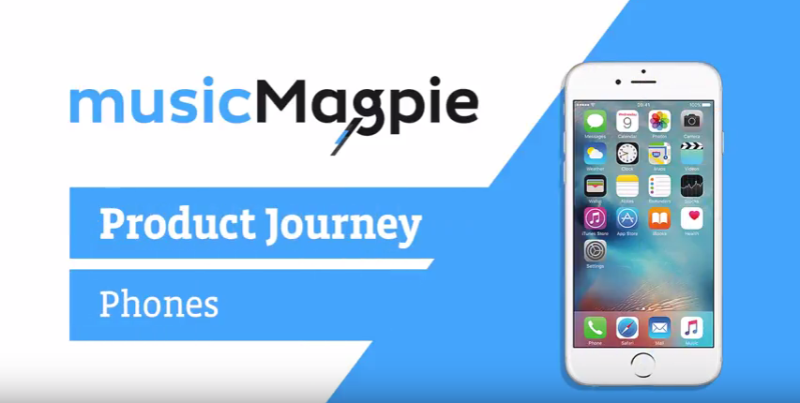 This video details a phone’s journey through our entire business, from the moment it arrives at our warehouse to the moment it’s sold on the musicMagpie Store and delivered to a new home. If you’ve got an iPhone, Samsung Galaxy or any other mobile phone you don’t use anymore, sell it with musicMagpie today! It’s easy: just get an instant price, pop it into any box and send it for FREE. We’ll then pay you the same day it arrives by bank transfer, PayPal or cheque – the choice is yours! You can buy mobile phones from us too! We’ve got loads of great refurbished devices to choose from, including most of the recent iPhone and Samsung devices, all at incredible prices. Plus, you’ll get FREE delivery and a 12 month warranty! Hello, looking at buying an iPhone from yourselves but wondering whether the battery is covered by your 12 month warrant? Hello! Yes, the battery is covered by our 12 month warranty. ← Learn all about the musicMagpie Store’s Phone Grades with these videos!